Indian Navy Receive by (P-8I) Maritime Patrol Aircraft. 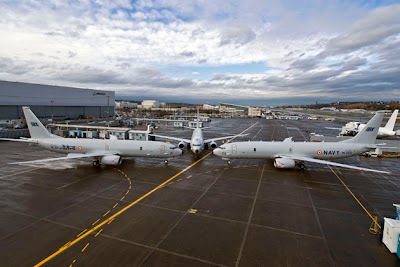 Indian first P-8I maritime patrol aircraft in Seattle following the completion of assembly by Boeing. This is the first of eight aircraft Boeing will deliver for the Indian Navy under a contract signed in 2009.